We are a small independent business based in Bristol, committed to customer satisfaction. This is why we are a recommended, vetted and monitored company. 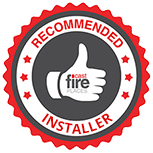 We offer a variety of services including central heating, bathroom, chimney lining and fireplace installations. To avoid high operating and repair costs all installations should always be carried out by a qualified and insured professional. Find out how we can save you money and improve the level of security in your home while at the same time protecting the environment. Bring your appliances up to date while experiencing our friendly, expert advice. Read more about our services and what we can do for you in Bristol. We are qualified in the renewable energy field, where you can save costs and energy with your heating and water installations while being kind to the environment and contributing to the fight against climate change! We take climate change seriously and we can all do our part to help out. Visit http://www.energysavingtrust.org.uk/renewable-energy to learn more about renewable energy and if your interested and require advice, please do not hesitate to contact us.